First of all, thank you for indulging me with a post on here that isn’t exactly baseball specific, though it certainly has plenty to do with what I do at baseball games. A touch over two months ago, a friend contacted me with an idea for a mutually beneficial relationship. To summarize, she said “I’d love for you try out new tech at Miller Park throughout the season as it becomes available.” The idea being that I could find out things that are helpful for the kind of coverage I try to provide along with allowing me to work more efficiently by having more portable options than just my personal smartphone. After all, multiple screens has been a major benefit at my day job for a while now so I relished the idea of not only trying out new “toys” but also for making my life a little more efficient and easier. The deal is set up with Verizon Midwest which is why you saw me dropping a #VZWMidwest into some early tweets I made with and/or about the device. I’m nearing the end of my time with my second device and I’m a bit tardy on getting this first review up but the next should be coming as early as this next weekend. 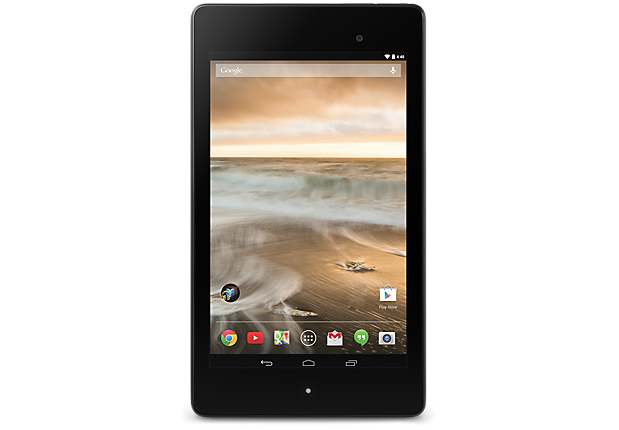 Without further setting up, let’s get to my review of the Asus Google Nexus 7 tablet which I had from Saturday, March 29 until swapping it out on Saturday, May 3. Out of the box I was worried about the relatively small size of the screen. Having not owned a tablet before (mostly due to frugality as opposed to lack of desire), I always thought that bigger is better and set the Nexus 7 tablet up for failure — or at least disappointment — for not being able to display what I needed or wanted. I’m happy to report that while the screen isn’t as big as some available on the market, it was plenty sizeable for what I ended up mostly utilizing the tablet for as well as greatly increasing the portability of the device. I was able to slide the table in my back pants or inner jacket pocket without a second thought. Speaking of which, as a quick sidebar, the durability of the device was outstanding. There was a touch of pliability in the design which was crucial for those times that I truly didn’t give the tablet’s location a second thought and sat down with it still in the back pocket. I never sat flat down on it but the fact that I was able to inadvertantly give it a little more pressure than would result in “normal” use made me very happy. And relieved. Before I get into how I specifically used the tablet, let me point out that the battery life was incredible. Wait, that doesn’t do it justice. The battery life was INCREDIBLE!! Maybe it’s that my personal smartphone is getting older and the battery life is naturally shortening but regardless as to why, the Nexus 7 tablet from Asus never ran out of juice before I did. I would have it off the charger, using it fairly regularly throughout a given day and evening at the ballpark, and I wouldn’t plug it in until the next evening. Even then, it was usually because I remembered that it had been over a day since I charged it and it probably needed it. The battery monitor was routinely still in the upper 20s and lower thirties of percentages. As for how I used it, it truly was a second screen for me. I could have the in-game box score on the MLB At-Bat app up while tweeting information, game action and stats from my personal device. If I needed to look up additional information or supporting information it was readily available without having to sacrifice whatever else I had going on at the time. I routinely had the table propped up with gamecast while watching the game live. I could confirm pitch type/location/velocity as tracked by MLBAM. I could pull up baseball-reference.com or any number of other things. All of that was enabled because the device was on Verizon’s network (which is strong throughout Miller Park) without needing to be on a Wi-Fi signal (which The Keg doesn’t exactly offer for free). I know all of that might not seem like groundbreaking ideas but for someone who never had a second device, let alone one as portable and easy-to-use as the Asus Google Nexus 7, it really was an incredible benefit for what I try to accomplish every night at Miller Park. And because it’s my review and my blog, I’m going to point out that being an Android device was that much better for me. I’m not exactly anti-Apple (I like iTunes and have owned an iPod in my lifetime) but my first smartphone was on Verizon and given that iPhones weren’t an option back then I tried a Droid, loved it, and don’t foresee a believable situation which would get me to not be loyal. On the negative end of the spectrum, to be fair to you readers, the camera was lacking. It didn’t seem to take a sharp picture, the “zoom” if you can call it such was weak. I was hoping to increase my Instagram and Vine outputs with the Nexus 7 tablet but it really couldn’t be used when I had a better option on my smartphone for those jobs. In summary, I’d absolutely consider owning this device permanently. It was extremely useful, the battery life was incredible, and it’s portability made it almost ideal for a night at the ballpark.